We are one of the most experienced companies in planning special events, incentives, conventions and conferences. 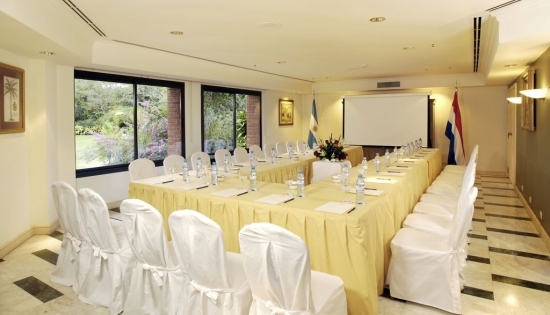 Puerto Iguazu conditions as a meeting point of Mercosur are unbeatable. With over 7,000 hotel beds, meeting rooms, convention facilities and world class technology, is elected every year for major governmental and private events. It also has a structure of highly skilled services. Transfers, tours, and visits to the various attractions of the city, the province of Misiones and the three-border area. The food supply is varied, the best regional and international cuisine of the highest quality complemented by nightly entertainment shows first class.